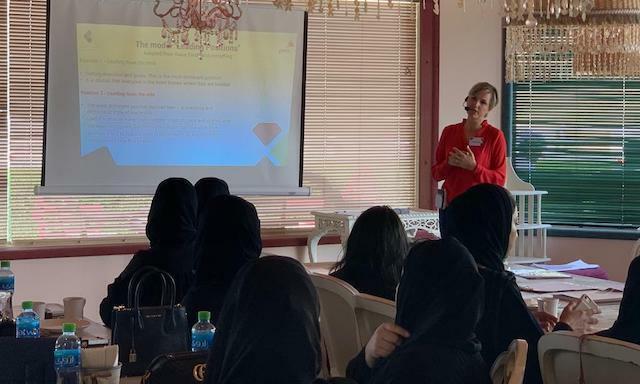 Mandara Equestrian Club in Al Shahama, between Abu Dhabi and Dubai, has after a long search turned out to be the perfect facility to run our horse assisted leadership seminars at. A shaded indoor arena with climate control - a must if we want to offer these seminars all year round. 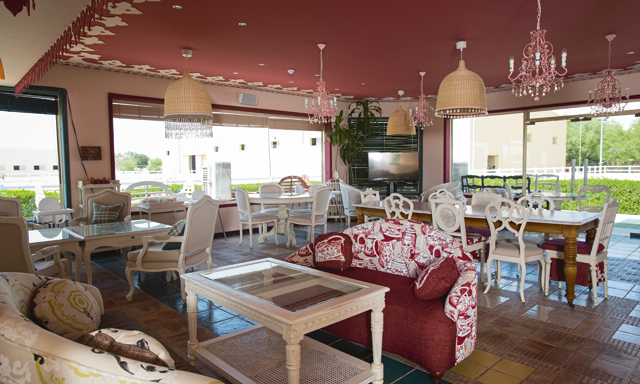 A beautiful café with professional service, fresh and healthy food from their own nearby farm, and with TV and projectors in a separate seminar room. And of course: great people and horses! The horses are our most important asset in horse assisted education - they are in fact our partners and co-facilitators. Although pretty much any sound horse will behave like a horse and hence give us the learning we want - we cannot expect a horse that is dealing with it's own problems, that is unhappy and worried, to be 100% focused on us and our clients. At Mandara, we have partnered with Ride to Rescue and are lucky to work with a group of great rescue horses. Some of these horses are too old to be ridden, but have a lot of wisdom to share. They give back the love and care which they are so grateful to receive, as some of them have had a hard life before they were taken in by this rescue project. Yasmin Sayyed, their caretaker, is a wonderful soul with a very international background, speaking 7 languages! 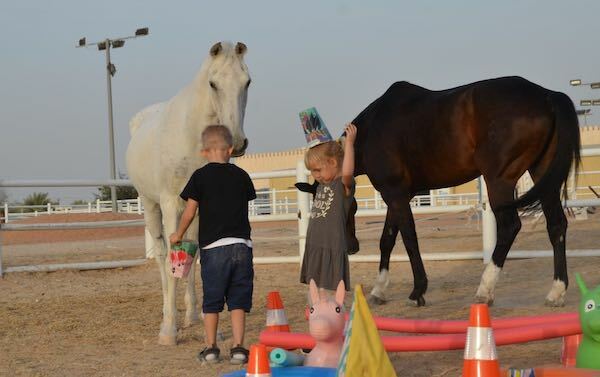 She has been living in the UAE for over a decade, and over the past years started to take in horses that are no longer wanted, neglected, or where the owners no longer have time to look after them properly. Under Yasmin's care they blossom, revive, and are able to spend their days working with children and managers, which both does not put a physical strain on them, and gives them the feeling that they are still needed. 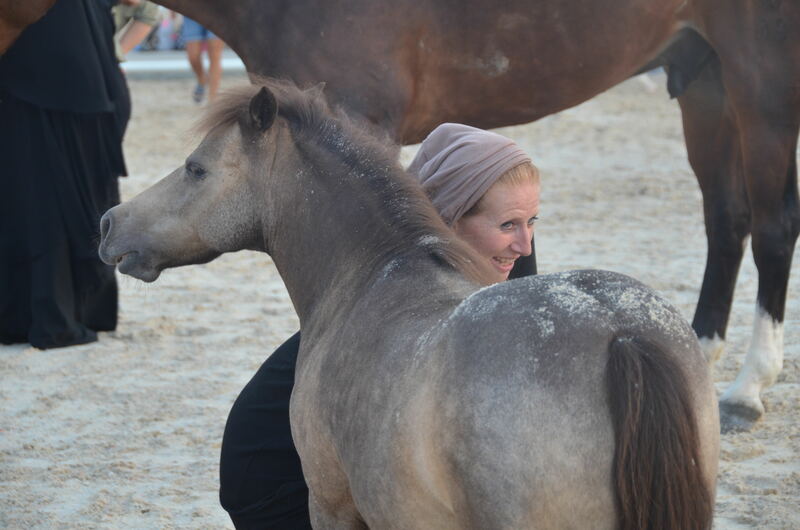 At every seminar, Yasmin's invaluable knowledge of the horses, and her lovely personality, add to the success of the trainings. Surprisingly, it has been almost impossible to find a stable with indoor arena in the UAE. 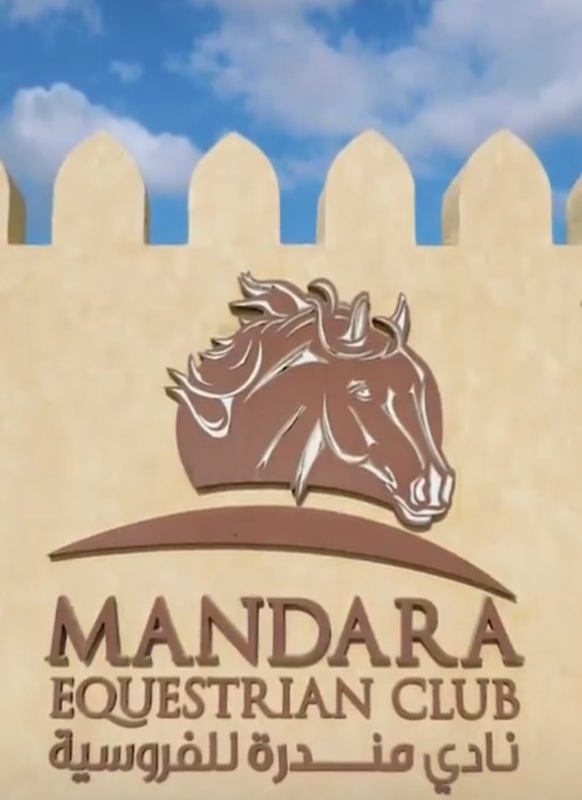 Dubai currently has no public available closed indoor arena, Sharjah has a very busy one, and hence the indoor arena at Mandara Equestrian is invaluable to be able to run full day professional trainings. But it's not just the indoor arena that is five star, there are also a variety of big and small well kept outdoor arenas and paddocks to be outside when the weather is good. There are walker machines and round pens to keep all horses exercised. There are grooms who can assist us when we work with larger groups of people, and the horses are well looked after and cared for. And best of all - the management supports our unusual form of training! For riders and livery members, Mandara Equestrian offers riding lessons from beginners to advanced, there is farmland to explore outside of the facility, and even rides to the nearby beaches are possible. Cafe Mandarina is the soul of the stable - and it's where we impress our guests with amazing, healthy food! Set up and run with a love to detail, you can feel the nourishing power of this special cafe where we start each seminar and come back to for breaks, theory sessions and to regain strength. Almost all dishes are organic, and where possible produce is sourced from their own Mandara Farms. On request, we can customize the menu to suit each taste - vegetarian, vegan, with either an Arabic or a European touch... whatever you prefer. After the seminar, make sure you plan some extra time to enjoy a shisha on the rooftop terrace or the majilis, looking down on the horses and riders.